Are you ready for a new diving experience? How would you like to conserve more energy and air by swimming effortlessly? Do you like having fun underwater? Then it’s time to take the PADI Diver Propulsion Vehicle Diver specialty course. 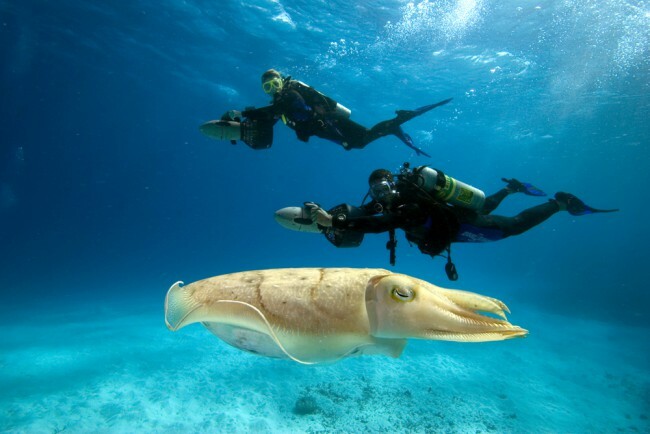 Diver Propulsion Vehicles (DPVs), also referred to as “underwater scooters,” are motorized, battery-powered scuba equipment that allow you to cover a lot of underwater territory in a short time. 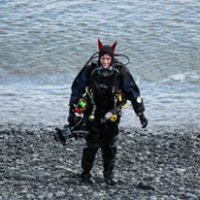 Although they’ve been used for practical applications by commercial and technical divers, the fast and fun factor means they are now increasingly popular amongst recreational divers, too. During a single DPV dive, you’ll have the opportunity to witness more marine creatures, landscapes and wrecks than you could if you were taking the plunge without a DPV. Other benefits to using DPVs include better air consumption (using a scooter means you’ll be working far less than if you were finning, especially in a current), and being able to travel out to dive sites from shore which otherwise would be inaccessible just by swimming. 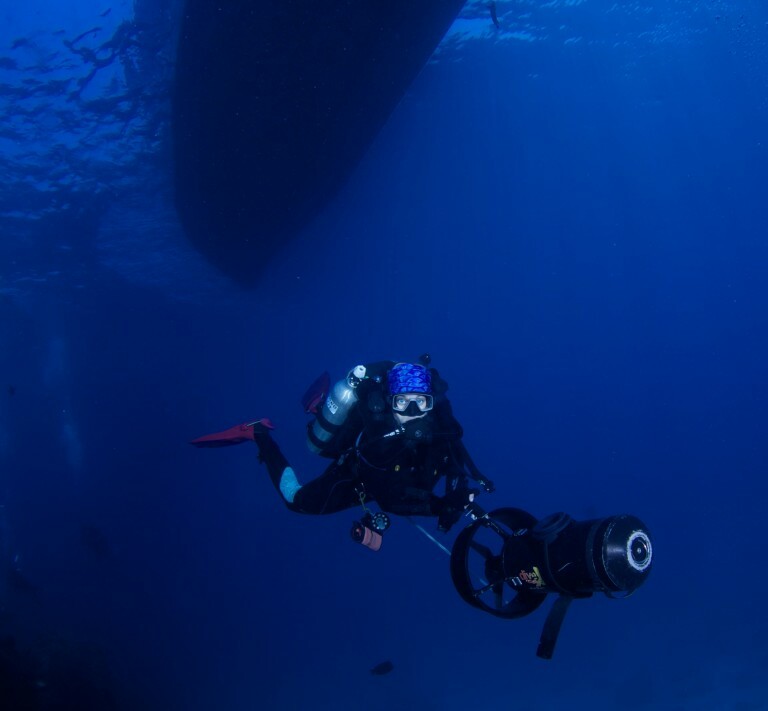 There are two main types of DPV – those in which the diver holds onto a handle and is towed along behind the device, and those on which the diver can sit astride. The latter tend to be bigger and more expensive, but will be more comfortable for longer journeys. There’s also smaller designs which can be clipped onto the BCD, offering a hands-free ride. Battery life generally lasts between 1-2 hours depending on power setting; many DPVs offer adjustable speeds up to a maximum of 3 miles per hour (trust us, that will feel pretty quick underwater). The PADI Diver Propulsion Vehicle Diver course will teach you how to properly and safely pilot a DPV in the water. 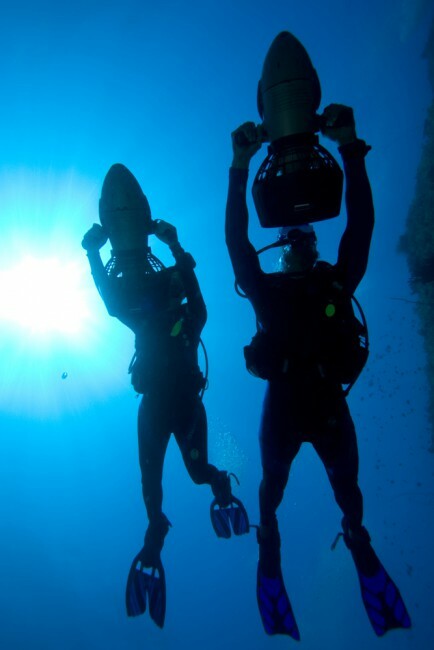 The course will cover problems that could occur on a DPV dive and how to best handle them. You’ll also be taught how to make the most of your DPV experience, learning DPV-handling skills such as how to make proper descents and ascents. 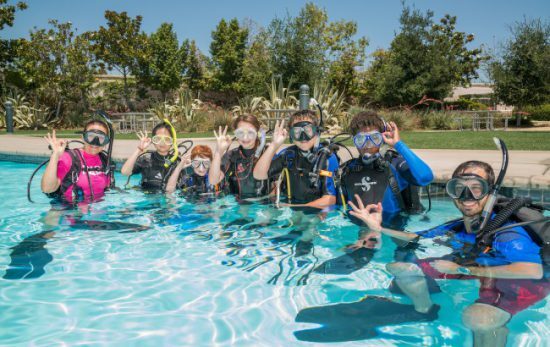 To take the PADI Diver Propulsion Vehicle Diver course, you will need to be at least 12 years old and have completed the PADI (Junior) Open Water Diver course. Enroll today with your local PADI Dive Shop and soon you’ll be gliding (or “flying”) through the ocean and experiencing a whole new scuba diving thrill.